Ever wondered what happens at a Phoenix Society debate? 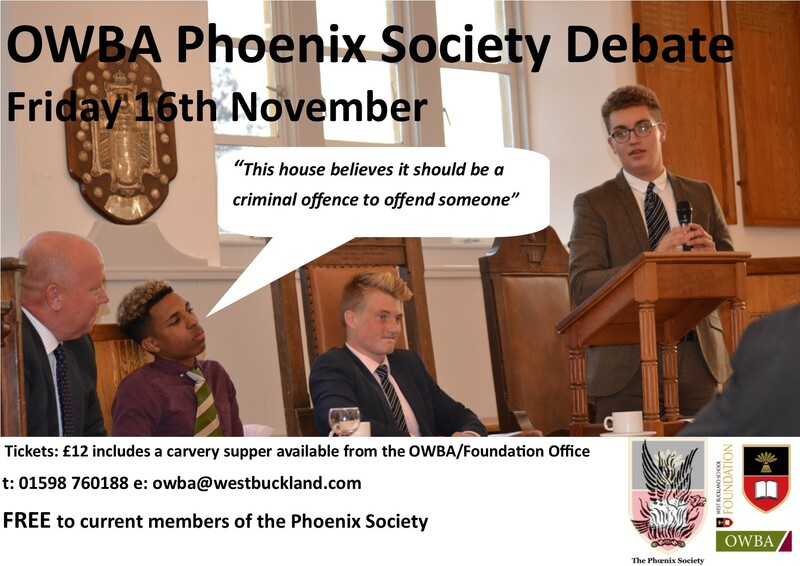 Join us on Friday 16th November for the third OWBA v WBS Phoenix Society debate. This lively and entertaining evening begins with the debate in the 150 Theatre followed by a carvery supper in the Karslake hall. Tickets are priced at just £12 and includes a carvery supper. FREE to current members Sixth Formers.